Known as the Little Kyoto, Kanazawa is the capital city of Ishikawa prefecture. Filled with beautiful historical houses, geisha and samurai districts, traditional arts and handicrafts and beautifully preserved gardens, Kanazawa is one of the most significant cities of the Edo period. With the new shinkansen (bullet train) line directly linking Tokyo to Kanazawa, it is now so easy and (much faster) to travel to Kanazawa. Did you know that Kanazawa produces 99% of all gold leaf in Japan, and 100% of domestic silver and platinum leaf? Feather thin at 0.1 to 0.125 millionths of a meter, Kanazawa’s Gold Leaf is extremely well known for its superiority. It never oxidises or changes color, and so thin it will disappear when you rub with your fingers. Once you arrive in Kanazawa, you will soon notice gold leaf being used in everything (almost), from food, arts and crafts to interiors. And yes, Kanazawa is the only place you can enjoy gold-leaf-wrapped soft serve ice-cream, and even gold-leaf castella cake. These have been on my bucket list, ever since I read about them on a Japanese site. For the gold-leaf-wrapped soft serve, highly recommend Haruichi located at Higashi Chaya district. The creamy milky ice cream is to die for, not to mention the opulence enjoyment of Japan’s finest gold leaf. If you prefer something different, at Kanazawa station, a café retails silver- and gold-leaf wrapped soft serve ice-cream. The Gold castella cake is available at Kanazawa station too. You will see an entire hall filled with well-known omiyage, food and other souvenir stores selling Kanazawa products. I was literally squealing in joy when I managed to get my hands on these cakes. They even come in limited time cutout shapes, like these ones I got. To the south of Kanazawa city center, just 30mins’ train ride, Kaga Onsen (加賀温泉) is well-known for its collection of four hot spring towns. Highly regarded as the onsen destination by the locals, you can choose from a variety ryokan stays with baths. It is a lovely experience for visitors and residents alike, and gives tourists with a local bathing experience that is one of a kind. The best way to explore and experience the Edo history of Kanazawa is through a personalised tour with a local guide. Through Expedia.com.sg, I booked the Samurai & Geisha Districts, Kanazawa Castle and Kenroku-en Garden Tour. Taking a beautiful stroll along the well-preserved walls and entrances of Samurai family houses, I so wish I was dressed in Kimono. I would’ve gotten some seriously lovely pictures! Our local guide also taught us how to recognise the architectural designs that marked these Samurai family houses. Continuing our journey, we reached Higashi Chaya District, my favourite part of the tour. Intimate streets with wooden lattice geisha houses, I enjoyed strolling through the geisha teahouses now filled with local stores selling Kanazawa products, wares, omiyage souvenirs and food. We took a midday respite for lunch at Ushioya for their Fired Buri Yellowtail Sashimi bento, thanks to the recommendation by the local guide, Yamamoto san. The second part of our Samurai & Geisha Districts, Kanazawa Castle and Kenroku-en Garden Tour, was to see the beautifully restored 16th century Kanazawa Castle. Once home of the feudal lord Maeda Toshiie and his family, this white tile roofed castle is a beautiful sight to behold! Nature lovers would also enjoy Kenroku-en Garden, for its lush greenery and peaceful tranquillity. If you love local markets, fresh seafood and produce, then you must visit Omicho Market. Omicho Market is the largest fresh food market of Kanazawa. I really liked how it had all the right vibes without being overly crowded, unlike Kyoto’s Nishiki market or Tsukiji in Tokyo, which can be teaming with tourists and overwhelming for any traveller. Like all fresh food markets, the market is lined with speciality stores selling the freshest local seafood and produce; you can even find kitchen tools, clothing and flowers. 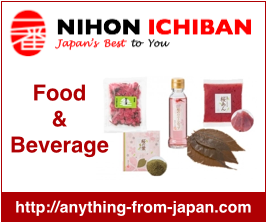 Store owners and workers cheerfully shouting out the best deals to attract customers, locals buying produce home, here is where you can experience the real hustle and bustle of Japanese market activities. Also spot seasonal produce such as these Matsutake mushrooms, the most expensive mushrooms known for its earthy flavour. One of the hardest to cultivate, these mushrooms are only available during the autumn season. Before you leave, remember to try the popular Kaisendon (sashimi seafood rice bowl) at Omicho Market, almost every single sushi restaurant serves this popular dish. We went for the well-known Yamada Sushi and queued for about 20mins before we got a seat. Just look at this overflowing bowl of sashimi! If you are in Kanazawa, it is also a good opportunity to visit its UNESCO world heritage site – Shirakawa-go. Famous for their traditional gassho-zukuri farmhouses, some are over 250 years old! Gassho-zukuri means “constructed like hands in prayer”. You would notice the signature steep thatched roofs, resembling the hands of Buddhist monks pressing together in prayer. And because of this unique architecture, these roofs can withstand large amount of heavy snow during winter. Visiting during winter and snowy season is popular for that dreamy picturesque view of the thatched roofs covered with thick layers of snow. If you want a fuller experience, you can even choose to do a short stay at Shirakawa-go at one of their farmhouses serving as minshuku. Many thanks to Expedia.com.sg for the experience!